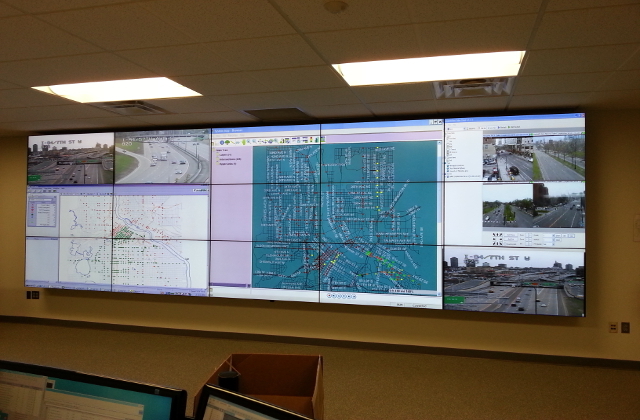 The City of Minneapolis is in the process of upgrading their Traffic Management Center (TMC). Originally built in the 1970’s using legacy copper telephone communication infrastructure, the system is being converted to a modern Ethernet based network. Alliant was hired to assist with construction oversight and administration. Alliant is also reviewing and documenting the extensive paperwork required for Federal funding requirements including Certified Payrolls, Prevailing Wage, On the Job Training (OJT), participation of Disadvantaged Business Entrepreneurs (DBE) and Materials Certification. We have played an important role in the review of Systems Engineering test plans, oversight of testing, and approval of test results for payment. This state of the art Traffic Management Center is on track to be completed in 2014. It will provide centralized traffic signal control at nearly 750 intersections, the use of CCTV cameras, and access to numerous legacy devices throughout the city.